In a city like Los Angeles, where competition is stiff for talent, there are lots of considerations to make while calculating the cost of a new employee. As a business owner, there’s the cost to recruit, train, build culture, and provide benefits that can be overwhelming, especially when first starting out. Some business owners handle human resource challenges on their own even though HR tasks include complying with labor laws, developing relationships with employees, obtaining the right insurance, legal compliance, managing payroll, and attracting talent. Don’t set your company up for failure; set goals that are reasonable, measurable and most of all, attainable. Some might be financial goals and others may touch on recruiting, retention or other HR challenges that you would like to manage better in 2019. In fact, better management of HR goals can help employers meet their financial goals quicker and easier. The following is an all-in-one guide to HR and Benefits in Los Angeles, designed to support your business and set you on the path for success. Remaining competitive in the hunt for the right job candidates who will propel your business to success is a challenge in Los Angeles. Once you find the people you need, you have to convince them your company is a better place to work at than your competitors. A strategic, quality benefits package can help you attract new talent and retain your top employees. 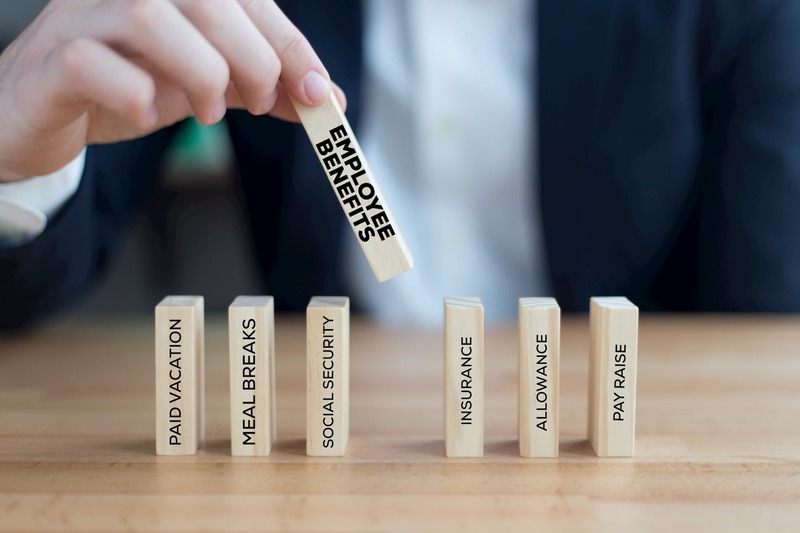 A few ways for employers to take full advantage of certain aspects of their business to win the war on talent begin with a strategic, quality, and comprehensive employee benefits package. Ultimately, this will help you attract and retain your most valued assets, your employees. According to the findings from the 2018 Aflac WorkForces Report (AWR), a national online survey of 1,700 benefits decision-makers and 2,000 employees across the U.S, found that 55% of employees would be somewhat likely to accept a job with lower compensation but with a more robust benefits package. 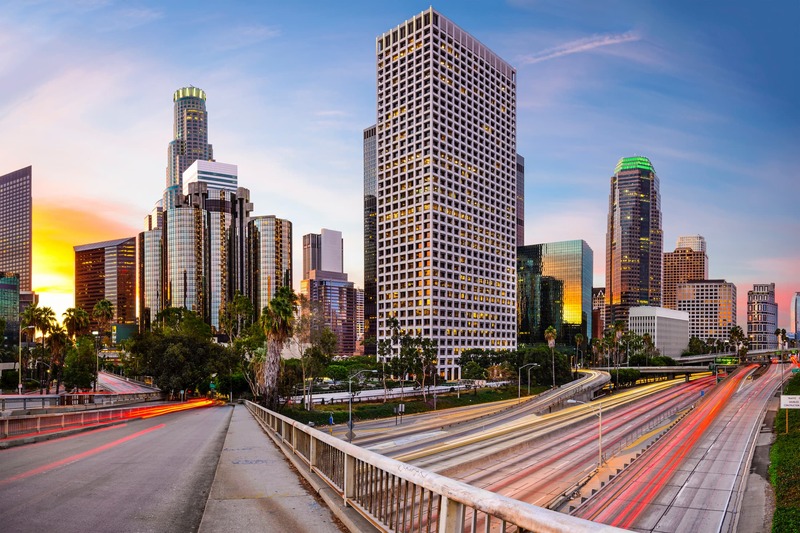 A well-rounded selection of benefits like health insurance, a 401(k) plan, life insurance, and dental & vision coverage are just a few of the plans that you can consider offering to gain a competitive edge in Los Angeles. THE LAW REQUIRES EMPLOYERS TO PROVIDE EMPLOYEES WITH THE FOLLOWING BENEFITS. Provide time off to vote, serve on a jury, and perform military service. Withhold FICA taxes from employees’ paychecks and pay your own portion of FICA taxes, providing employees with retirement & disability benefits. Pay state and federal unemployment taxes and, thus providing benefits for unemployed workers. There are various types of employer-provided benefits and then there are compensation and benefits that employers are required by federal or state law to provide such as, COBRA, disability, family and medical leave, minimum wage, overtime, unemployment benefits, and workers compensation. What flexible work options do California organizations provide to employees? 63% of organizations offered some form of Telecommuting on an ad-hoc basis, 59% telecommuting, with telecommuting on an ad-hoc (59%) of part-time basis (34%) being most common. Are California organizations fully paying or sharing the costs of health care of employees and their dependents? 66% of CA organizations fully paid for employee health care costs; 15% did so for part-time employees. Sharing health care costs with employees is much more common. Voluntary Benefits can help organizations fill in gaps left by traditional medical offerings with providing additional options. Since Voluntary Benefits are almost exclusively paid for by the employee, they cost employers little to nothing to offer while making compensation packages more attractive to employees. But while you may choose to provide numerous types of voluntary benefits that can deliver convenience and value to your employees, many employees may not understand the advantages of the voluntary benefit options. It’s even more likely that your employees may be unclear about how voluntary benefits work. Educating your employees about the voluntary benefits you provide will yield the greatest value for you and your employees. When it comes to building office culture in Los Angeles, the work-life balance is really important to the culture. A fun and inviting office can help take the grind out of your employee’s working days. By doing this, your employees will look forward to coming to work, allowing them to gain a connection with their colleagues, and most importantly, allow them to feel appreciated. Companies looking to hire individuals that are a match to their culture must first identify and understand their culture. Once you understand it, you can gauge whether or not a new hire is the right fit. Building office culture is one of the most important things you can do for your employees and your company’s reputation. It is often said that many employees feel that being appreciated is more important than pay. 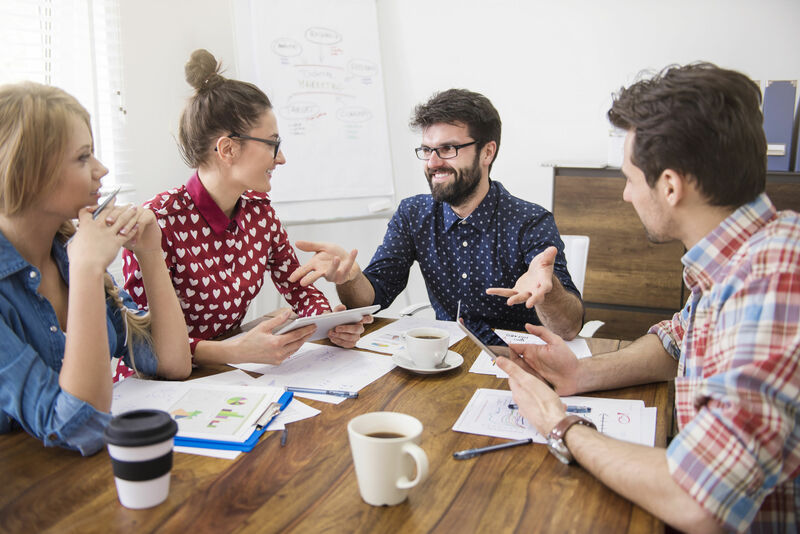 Some effective ways to create and maintain a positive company culture can begin with some of these tips. Even though small businesses in Los Angeles continue to grow, issues around tough government regulations, laws, and restrictions affect these efforts. According to a study conducted by global insurer Hiscox, California is 5th in the nation for states in which small business owners face the highest risk of being sued by their employees now more than ever. From day one, your business must be protected. It’s crucial to have the right insurance solutions set in place. Even before the first employee is hired, a business is at risk. By having the right insurance in place, a business can avoid a major financial loss due to a lawsuit or unexpected event. Although there are primary coverages that most businesses need, each business has its own unique set of risks that may require custom insurance solutions. 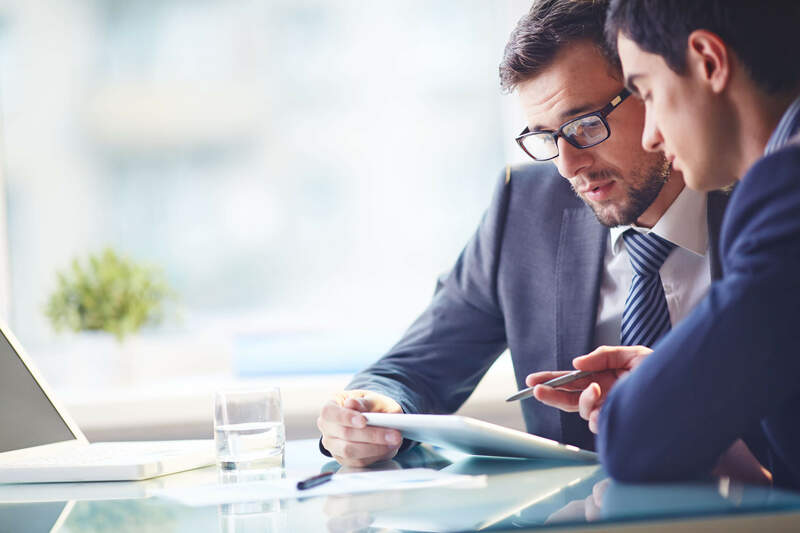 With careful review and insurance coverage selection, you can customize a comprehensive solution for your business by combining several primary insurance coverages with additional and more specific coverages. Here are some primary insurance plans that a California business should have in place as soon as possible. Payroll processing is a core function for organizations to be able to compensate their employees for the work they are doing. A payroll system also holds a massive amount of sensitive employee information. That said, payroll administration can be a difficult, time consuming, and expensive process for business owners. After hiring employees, you quickly become liable for paying said employees on time and an accurate amount. You also need to comply with multiple federal, state, and even regional laws that apply to your employees. Additionally, there may be other issues that you must keep in mind for purposes of insurance, pension plans, and even clients. Most of these reporting and recordkeeping requirements are daunting tasks and require a tremendous commitment of high-level management to keep payroll software up to date. If an outside supplier is not involved, it’s common that they are entrusted to low-level clerical employees with very little experience or no oversight. Errors can arise and thus resulting in payroll nightmares that involve large fines and massive headaches for your organization. 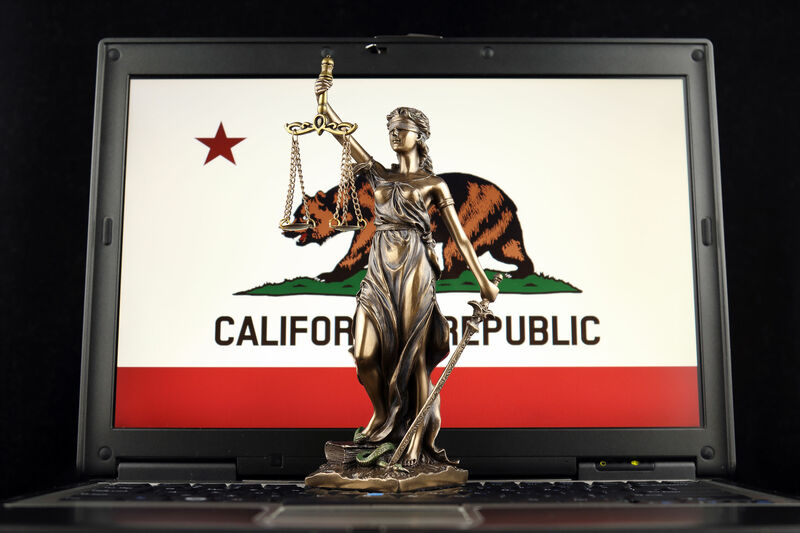 Every year, the California legislature passes new laws regulating employment in the Golden State and 2019 will be no different. It’s important for employers to stay up to date on compliance laws and have a system in place not only to meet compliance guidelines but also to be an employer of choice. That’s why few obligations are more important—or more challenging to small and medium-sized businesses than regular HR audits. A business that remains unaware of potential HR compliance violations is bound for trouble. Such audits can assess whether or not your Los Angeles-based business is within CA compliance regulations. In addition to federal regulations, each state has their own share of employment laws that business owners need to be aware of. Here, we’re highlighting some of these key CA-specific requirements and laws and offering guidance to help you keep up. But please bear in mind that the laws are constantly changing and it’s up to you to keep your business compliant. Start the year strong – ensure your business is legally compliant.